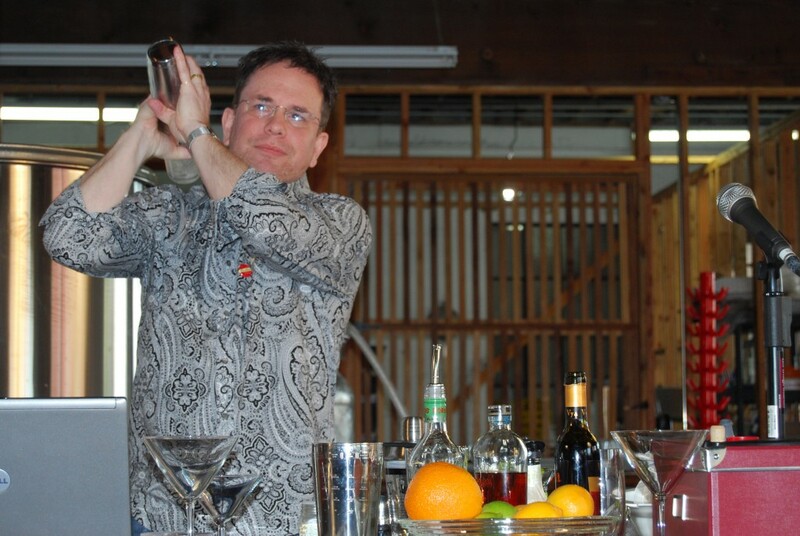 Muddling is an important technique in cocktail making. The idea is to use a muddling stick to extract juice or essential oils from fruit and herbs. 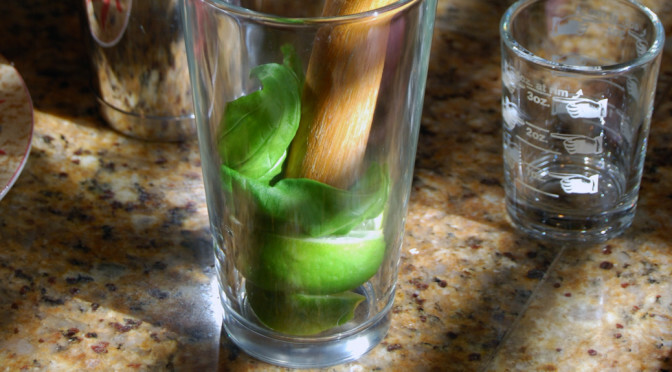 When muddling, lightly push on the ingredients (such as fruit and herbs) in the bottom of a mixing glass with a flat-bottomed muddling stick until the juice is extracted. You don’t want to kill it or you’ll get a lot of bitter taste. 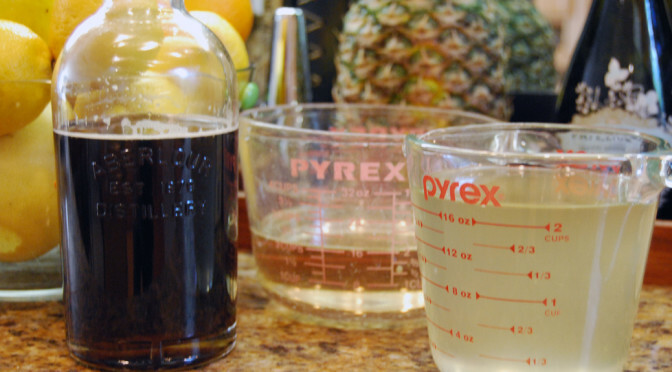 Once your ingredients are combined, you typically add ice and the remaining liquid ingredients prior to shaking your cocktail. A muddling stick or muddler is often shaped like a baseball bat and is commonly made of wood. You will also find muddlers made of metal or plastic with teeth on the bottom. Use the kind with teeth carefully as people tend to over-muddle with these and end up with a bitter drink. You’ll see that a few cocktail recipes call for a fruit puree of some kind. You have a few options when it comes to purees. You can buy them already made up or you can make your own. Unless you are making a large volume of drinks (for say a party), I suggest you make your own. It’s really easy and the purees are fresh. In a blender or food processor fitted with the metal blade, combine the fruit, sugar, water and lemon juice; process to a smooth puree, about 30 seconds. Add more sugar to taste. Strain through a fine metal sieve set over a bowl. Use a rubber spatula to stir and press the puree through the sieve; discard solids. Refrigerate for up to 3 days or freeze for up to 6 months. I store my purees in those GladWare Mini Round 1/2 cup (4 oz) platic containers. They freeze well and you can label them with your type of fruit and the date. This size is perfect for making about 4 cocktails at a time. You shake any cocktail that contains juice, cream, eggs or other cloudy ingredients. You stir a cocktail when the ingredients are all spirits. I think this video from Imbibe (featuring Jeffrey Morgenthaler) demonstrates the difference well. Sometimes I break the rules and shake my Manhattans or Martinis if I want little ice shards floating in my drink. This infusion makes a nice summertime sipper by adding club soda. You can also use it in other cocktails like the Cinzano Basil Martini. You will need to make this at least a day before you plan to use it so that the basil has a chance to flavor the vermouth. You can keep it in your fridge and use it whenever the mood strikes. Pour the vermouth into a glass container with a tight-fitting lid and add the basil leaves (save the bottle for later). Stir briefly, close the container and set aside overnight. Skim the basil leaves out of the container and discard. Pour the infused vermouth through a fine mesh strainer back into the empty vermouth bottle. Store in the refrigerator for up to 6 months.